My nephew is turning 21 this week and my family and I will be attending his party on Sunday. Of course, a card is necessary. I was mulling over my options and what would be appropriate for a 21 year old male (I struggle with this category) and asked my 20-something year old son for advice. I showed him stamps with trees and shells and nature and assorted geometric patterns. Wise son said: "Ma! He's turning 21. Don't you have anything with a drink?" Duh! Clearly I didn't have my thinking cap on. 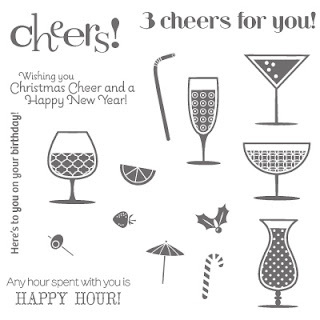 With my Happy Hour stamp set in hand I went in search of an appropriate layout. At first glance, the Mojo Monday sketch was way too busy for a masculine card. But, hmm... What if I elimated the flower and scallops, and switched out the circles for ovals? Now we have a possibility. Multi-tasker that I am, I had originally intended to double up with a color challenge but I just couldn't make the colors work. The more color I removed from the card, the more I liked it. My martini card wanted to be heavy on the black and white (black tie), with an olive of course. 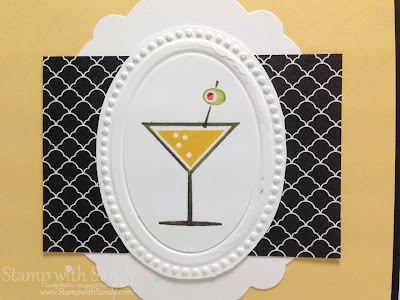 Did I mention that martinis make me think of James Bond? 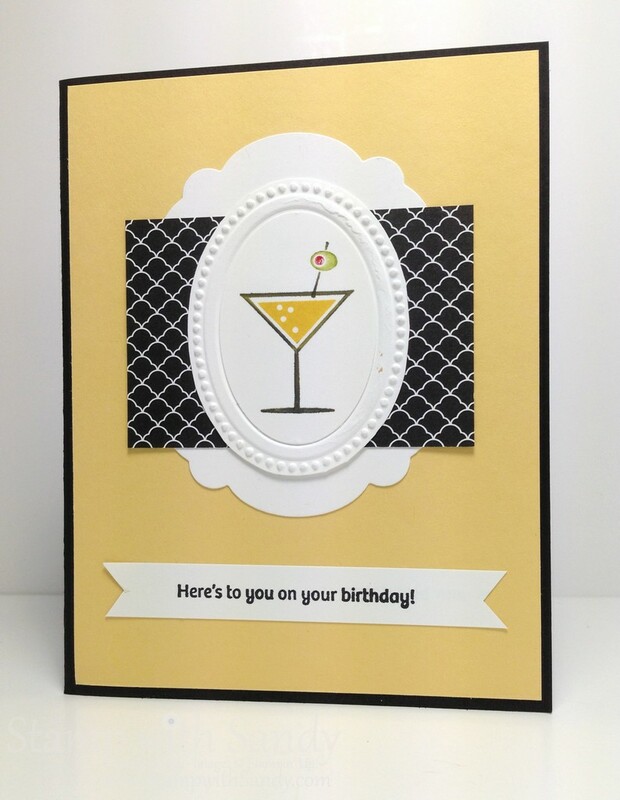 Once you got your thinking cap on, Sandy, this card became perfection for a 21st birthday! So in love with the colors you used and how you used them! !